There are several color variations (breeds) of bantam chickens. 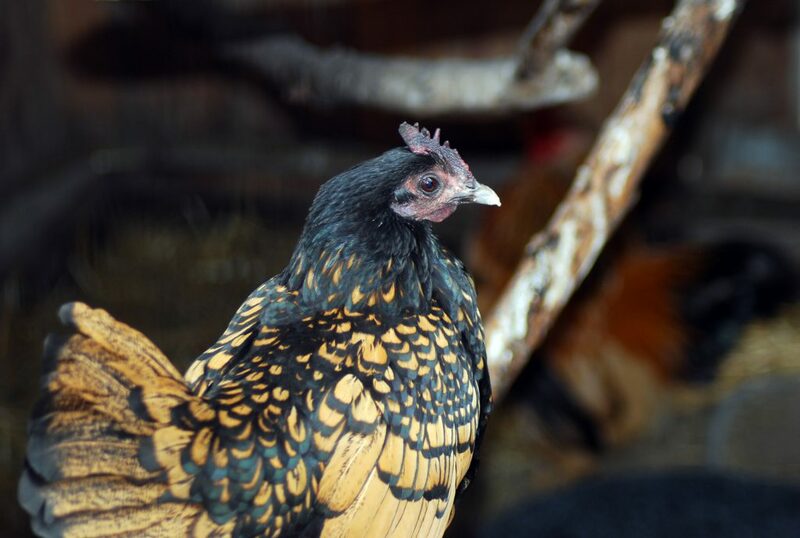 At the Zoo we have a welsummer bantam, and bantam sebright. Chickens have a comb and waddle, red skin flaps on the top of their head and under their beak, which help dissipate heat. Roosters have a larger comb and waddle which are a form of ornamentation. 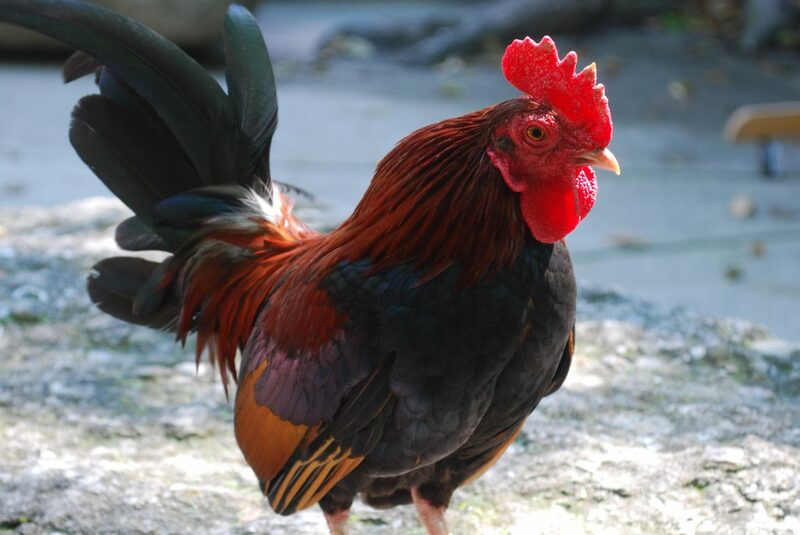 Roosters with larger combs and waddles tend to appear more attractive to hens. Some bantam chicken breeds are considered a “fancy chicken” and will have ornamental feathers surrounding their feet. Domestic chickens are too heavy to fly, but can glide and perch on tall objects. Chickens love the occasional worm or bug and will scratch at the ground in hopes of uncovering a tasty treat. As a domestic species, the chicken is not listed under protective status.